Researchers at the Ohio State University have designed and tested a vaccine that uses a unique bilateral technique to conquer the Zika virus. 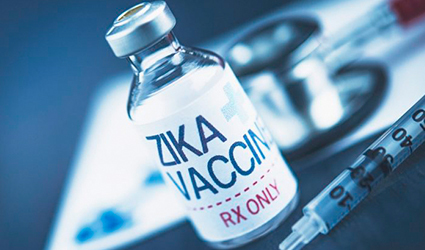 The one-dose vaccine, delivering the genes for two to three Zika proteins, demonstrated its efficacy in stimulating an immune reaction that barred future infection by Zika virus, according to the study published in the journal Nature Communications. "In this study, the vaccine was potent, safe and highly effective, at least in the short term. There's a long way to go, but we think this is a promising candidate for a human vaccine," said Jianrong Li, an Ohio State professor of veterinary biosciences who headed the study and created the vaccine platform. Vesicular stomatitis virus (VSV) was considered as a vehicle for the Zika proteins. The mitigated version of the virus is safe in humans and mice. "It's a good platform for human vaccines because people don't have any antibodies against it and that allows VSV to successfully transport the vaccine without being stopped by the immune system," said study co-author Mark Peeples, a pediatrics professor at Ohio State and researcher at Nationwide Children's Hospital in Columbus. When mice were vaccinated and exposed to Zika virus, their weak immune systems cleared it off rapidly and powerfully, compelling the research team to believe that their design was functional.